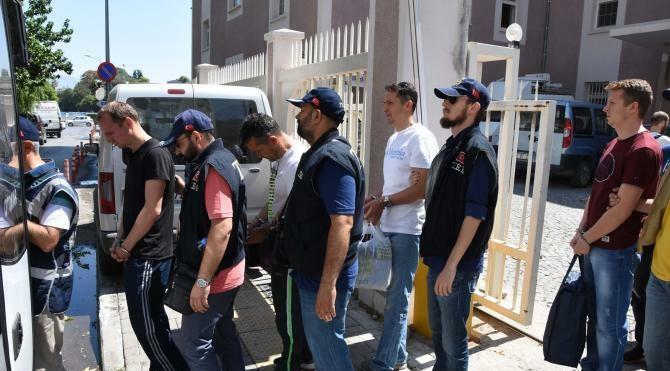 At least 41 people were detained as part of an investigation into the Gülen movement in İzmir, on Friday. Detention warrants were issued for 49 individuals from several occupational groups in İzmir, Konya, and İstanbul. While 41 of the suspects were rounded up, police were seeking the remaining 8 at the time of this writing. Turkish authorities believe using ByLock is a sign of being a Gülen follower as they see the mobile phone application as the top communication tool among the group. The military coup attempt on July 15 killed 249 people and wounded more than a thousand others. Immediately after the putsch, the Justice and Development Party (AK Party) government along with President Recep Tayyip Erdoğan pinned the blame on the Gülen movement and initiated a widespread purge aimed at cleansing sympathizers of the movement from within state institutions, dehumanizing its popular figures and putting them in custody.